Since 1996, I have been working out of my home office in Delaware as a full time freelance writer, author, and ghostwriter. Throughout the years, I would do anything to keep from having to get a “real job.” And, that’s how I stumbled upon greeting card writing. Do you ever get tired of paying five to ten dollars for a greeting card, knowing full well that the recipient will eventually end up tossing it into the trash a few days after the celebration is over? That was how I felt about a decade ago when I was searching for the perfect birthday card for a relative. There were so many choices and it was taking a long time. It dawned on me, standing in the aisle of that store, that a large share of the cards I was looking through had probably been created by freelance writers. I had my “light-bulb moment,” and knew that I had come across a new source of income as a writer. I pulled out my pocket notebook, and started to make a list of the various companies that had greeting cards in the racks. I then started individually contacting them to request their writer’s guidelines. These days, most greeting cards feature a website link for the publisher on the back. Every single one of the card companies I visit online now have their “writer’s guidelines” or “submissions information” listed. I followed the directions from one company, Leap Greetings and, within a week, I had sold my first inspirational verse (less than 30 words!) for $75. And since they were a new company back then, the editor liked my work so much he gave me an assignment for ten more cards at the same price. You don’t have to make a trip to your local supermarket or Hallmark store to do research and find out who the card companies are. Instead, visit the Greeting Card Association’s Member Director. There, you will find 181 greeting card companies listed, and a link to each one’s home page. Explore the directory carefully, looking for the types of cards you would like to create. For example, if you are looking for a humor company, Noble Works Cards is looking for “funny, unique, risqué and carefully-crafted card ideas” from freelance writers. If you would like to write inspirational verses, then try Blue Mountain Arts. At the present time they are looking for “contemporary prose or poetry written from personal experience that reflects the thoughts and feelings people today want to communicate to one another, but don’t always know how to put into words.” Blue Mountain Arts pays $300 per poem on a card, and $50 per poem that are used in their gift books. Gift books? It was another light bulb moment when I discovered that money making possibility! Gift books are being sold everywhere these days, including card shops, specialty stores, gift shops and, of course, online at Amazon and other outlets. Oftentimes, gift books are picture and graphic heavy, with very little text. But, other times they are nothing but a collection of stories and verses to inspire the reader. Hallmark publishes a ton of gift books each year and I successfully sold two short pieces (less than 700 words) to them for $300 each. You can do research the old fashioned way and visit card and gift shops but you can also search online and find gift book publishers that are looking for submissions. Also, visit the American Book Producers Association at because many of their members produce gift books and are looking for freelance writers. 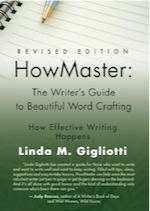 Writing for the greeting card and gift book markets are just two more ways you can make money as a freelance writer. Find other ways RIGHT HERE. Oatmeal Studios – a paying market for greeting card writers! Angela Hoy's istructional guide to creating your own reborn doll! for a special child or grandchild! Learn how to create your own realistic bundle of joy or how to start crafting reborns for profit! Angela Hoy's book will get you started! One Response to "Make Money Writing for the Greeting Card and Gift Book Markets! by John Riddle"